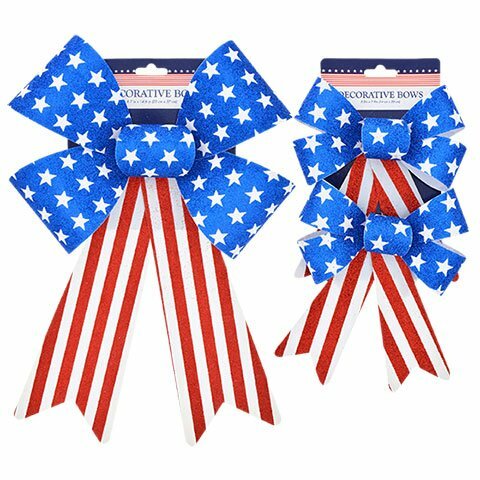 Celebrate the good old red, white, and blue with these festive bows! Hang them from decks, staircase railings, front doors, wreaths, chairs, and more. Great for patriotic summer holidays, festivals, shop decorations, BBQs, and picnics. If you have any questions about this product by Hobeez, contact us by completing and submitting the form below. If you are looking for a specif part number, please include it with your message.